Planning your trip starts with making sure you don’t miss a piece of the action! View the convention schedule to be sure you arrive and depart at the right time. Whether you are a first-timer or a veteran attendee, there are things to consider when making your plans. We’ve put together several helpful tools, including Dining Options, Parking Information, Travel Discounts, and more. Pittsburgh has a lot to see and do, too. In addition to more than 80 workshops sessions, networking opportunities, and two fun-filled dances, NDSC convention attendees have the opportunity to attend these unique events at no additional cost. Separate RSVPs are required, after completing your convention registration. Research Rally – Start your Saturday at the LuMind RDS Research Rally. Enjoy a light breakfast, learn about current research projects, get up to date info from a panel discussion with Drs Capone, Chicoine, Hendrix and Skotko, and participate in pep-rally activities that will keep you engaged in research all year. Calling all educators! Join us for a full-day workshop for educators working to enhance outcomes for their students with Down syndrome and other intellectual disabilities, as well as autism. This workshop will engage participants in identifying and implementing strategies applicable to classrooms from kindergarten through 8th grades. Discussions will include ways to further include students in the general education classroom through effective literacy interventions, differentiated curriculum, technology, and behavioral practices. Practical in nature, the workshop will equip participants with ideas, solutions, and tools to implement in the classroom. CEU certificates will be provided. 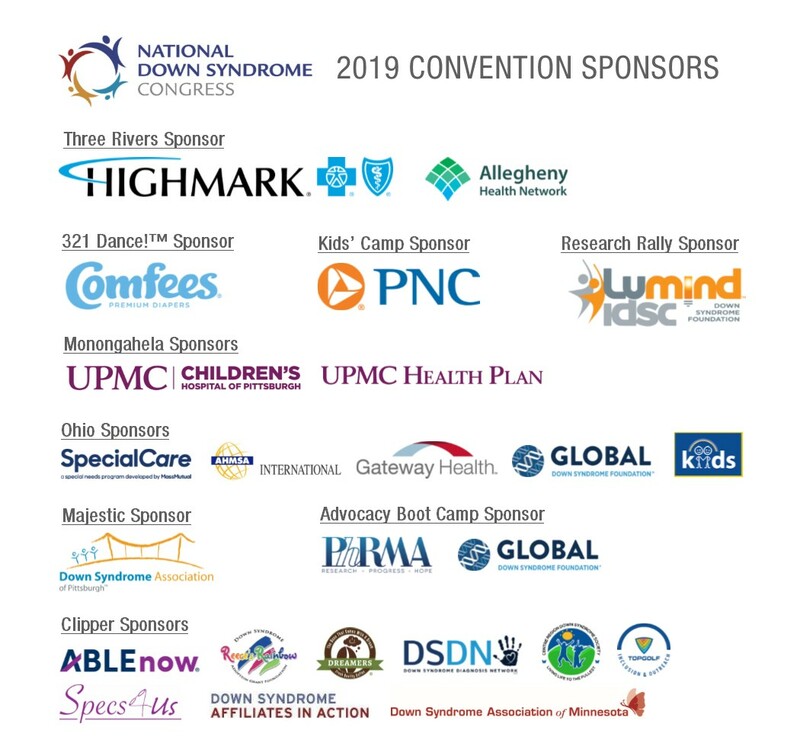 The exhibit floor at the NDSC convention is comprised of organizations and companies that provide information, technology, resources, and products and services to a large and receptive audience. Exhibiting at the convention will give your company exposure to the more than 3,500 people expected to attend. We anticipate that the exhibit tables will sell out this year, so do not delay – register today!